Whilst the label of ‘luxury car’ may get bandied around a lot, it’s a turn of phrase many people are confused by. Of course, manufacturers want customers to believe that even their vehicles on the low end of the spectrum are luxury vehicles, but let’s be honest – in the true sense of the word, a luxury car is more exclusive than your average automobile. It can be somewhat difficult to define, but a luxury car generally combines a stylish, classic interior with great performance, a smooth ride and plenty of technology to make journeys that little bit easier. Needless to say, you get what you pay for, but that’s not to say luxury cars have to come with a huge price tag – particularly at Spencer’s Car Sales. What are the best luxury cars in 2016? We’ve taken a look at some of the finest vehicles on the market and decided on three of the best on the market at the moment. Combining high quality materials with a logical, no-nonsense dashboard, the Audi A8 simply feels opulent – helped in part by the electronically adjustable heated leather seats, plush inlays and four-zone climate control. Taking control of an Audi A8 is akin to sitting in a luxury cabin on a cruise liner. Despite having the body of a sports utility vehicle, the Range Rover has evolved to become a comfortable long-distance drive, and is surprisingly aerodynamic and refined. The Range Rover is a great choice for those looking for extra height from their vehicle. 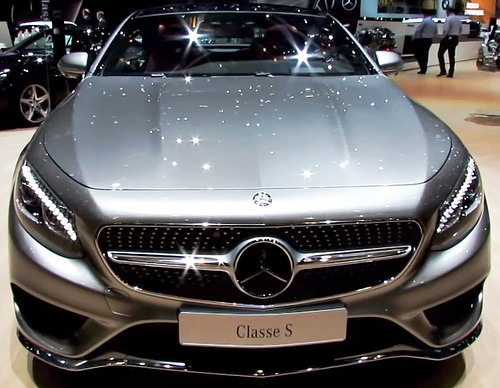 Taking the wheel of a Mercedes S-Class is an experience in itself. There’s no vibration, and wind and tyre roar are non-existent – even at high speeds. A super quiet engine coupled with a WiFi hotspot, fold-out tables, supportive seats and a 200GB hard drive all make this the ultimate drive.